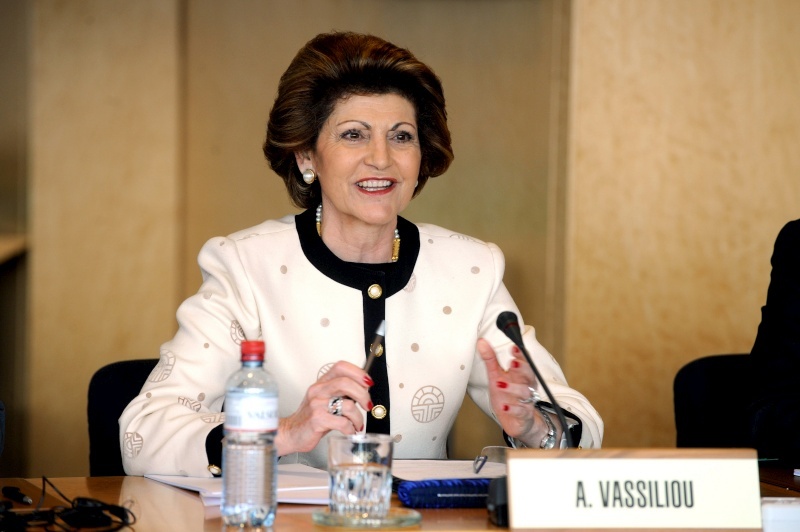 Androulla Vassiliou is the EU Commissioner for education, culture, multilingualism and youth. EURACTIV inteviewed the Commissioner in writing. The European Commission is a partner of the Special Olympics, and has been one for more than a decade. What is the role of the EU in the event? And how does it contribute? Indeed, the European Commission has awarded grants for the organisation of the Special Olympics for several years and we are pleased to have played our part in the success of the Games. The aims of the Special Olympics correspond to objectives in the Commission’s Communication on Sport (2011) and the EU Work Plan for Sport (2014-2017), especially regarding sport as a tool for social inclusion and equal opportunities. The EU and its member countries have signed the UN Convention on the rights of persons with disabilities, which includes the obligation to take appropriate measures to make social inclusion in and through sports effective. What measures has the EU and its Member States taken so far? How relevant are those for people with intellectual disability? in particular by supporting transnational projects and networks. Since 2009, this financial support has been channelled via the so-called Sport Preparatory Actions, paving the way for a dedicated EU sport budget as part of the new Erasmus+ programme, which will increase the funding available for transnational initiatives that support social inclusion through sport. We want to build on the success of projects like ‘Youth Unified Sports®’ which received backing from the Preparatory Actions. The main aim of Youth Unified Sports® was to bring together young people aged 12-25, with and without intellectual disabilities, as teammates. Nearly 3000 youngsters from 10 countries were involved. How do such events shape the EU sports and inclusion policy on people with intellectual disability? And how does sport benefit the mentally disabled? Such events should above all raise public awareness about the situation of people with a disability in our communities and improve integration. Sport is a crucial means of encouraging social inclusion; it can help people to develop developing social skills, friendships and to feel valued. According to Eurostat, almost half of the EU population on average does not exercise. How is the EC addressing the challenge of motivating and promoting sports activities for the mentally disabled? Lack of exercise is a global problem and challenge for all social groups, in all parts of society. The Commission is promoting sport and physical activity by supporting various cross-border projects. One of the priorities of ‘Erasmus+: Sport’ over the next seven years is defined as ‘awareness of the importance of health-enhancing physical activity’. In 2014, 50% of the planned budget for sport is dedicated to projects addressing objectives for which EU guidelines already exist and have to be implemented, namely Physical Activity and Dual Careers of Athletes (ensuring sportspeople do not neglect their studies or training to prepare for life after their sport career ends). This financing can also be directed to projects concerning people with intellectual disabilities. The EU adopted a pact for mental health and well-being in 2008. How is sport contributing to the implementation of the mental health agenda? What have been the main achievements so far and what are the remaining big challenges? At the time when the pact was being prepared the EU did not have competences in the area of sport. It is only since December 2009, when the Treaty of Lisbon entered into force, that the EU has had limited powers in the sport context. (Article 165 of the Treaty gave the EU the possibility to carry out actions to support, coordinate or supplement the actions of the Member States). However, actions foreseen by the pact include the promotion of participation of young people in sport. De facto, this will be implemented thought incentive measures like the Erasmus+ programme. How the EC is raising awareness of its sports programmes for people with intellectual disability and what are the future plans in this area? The Commission is promoting funding opportunities for sport through various conferences and meetings with stakeholders. We have worked with the Special Olympics for more than 10 years. Once a year the Commission organises the EU Sport Forum where all the latest developments and possibilities are presented. This year this event will take place in Milan on 1 and 2 December. Starting in 2015, a European Week of Sport will be organised each year, allowing us to support Member States’ efforts to promote sport and physical activity. I would also mention that 2014 is the first year for implementation a Council recommendation aiming at promoting health enhancing physical activity (HEPA). People with disabilities should of course be fully involved in this initiative.